Ontario’s housing market is out of control, much like South Western British Columbia. Middle-class Canadians are being priced out of being homeowners, and it’s becoming what could be a very serious crisis. Even renting in Canada’s major cities is unaffordable for the vast majority of us. The provincial government of Ontario felt the pressure to take action to ensure that future generations of hardworking Canadians can become homeowners. They introduced 16 new measures to help slow down an out-of-control housing market. You're going to be able to save more money because your monthly rent isn't going to be raised unexpectedly so high that it absorbs most of your income. Once you move in, your rent cannot be raised more than a certain percentage, so you will be able to maintain a similar monthly budget for the duration of your tenancy. You will be able to stay longer in one place - controlling the rent means you're not going to see a sudden increase so high that you can't afford to live there any longer. Without rent control, your rent could go up faster than your income does and effectively send you packing. Rent control is going to make the Greater Toronto area more affordable to those who are not in a position to purchase a home yet. Like British Columbia, Ontario is proposing a 15-per-cent tax for foreign investors in the greater Toronto area. Rent control is to be broadened to include housing that was previously exempt. Residential Tenancies Act is set to incorporate standard lease agreements, stronger rules surrounding certain types of evictions, improved dispute processes, and more. Development of affordable housing on provincial land. Vacant homes property taxes would be opened up to municipalities to encourage renting out or selling empty houses. Property taxes for apartment buildings to be made comparable to other residential buildings. Incentives for developers to build new apartment buildings for rental purposes. Municipalities will be allowed to use a broader range of incentives to encourage housing development. A new team of provincial employees to help navigate the red tape when it comes to developing housing. Practices will be scrutinized and targeted to reduce the instances of avoiding taxes and excessive housing speculation. The rules real estate agents have to follow will be strengthened. Housing advisory committee will keep the provincial government on top of the housing situation in Ontario. The introduction of real estate education for consumers looking to buy a home. 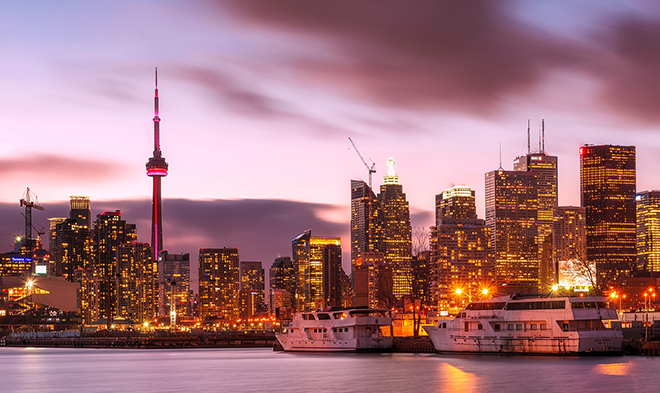 The Ontario provincial government is going to team up with Canada Revenue Agency to strengthen the rules surrounding tax and revenue reporting so that all the proper taxes are paid on each housing purchase. New rules for elevator repairs. Changes to the size requirements of new housing, to accommodate all sizes of families. Overall, rent control is a money saver to tenants and also has its pros for landlords, too. Rent controlled properties tend to retain their tenants much longer than other rentals, leaving the overall maintenance relatively easy for landlords. As well, they have a reliable, steady stream of income. So, while some of these measures seem abstract and may be ineffective, there are some measures that will help Canadians live easier in Ontario's housing market. What do you think? Will these new measures by the Ontario provincial government have an effect on housing in the province? What do you think the outcomes of these measures will be? Let us know in the comments!